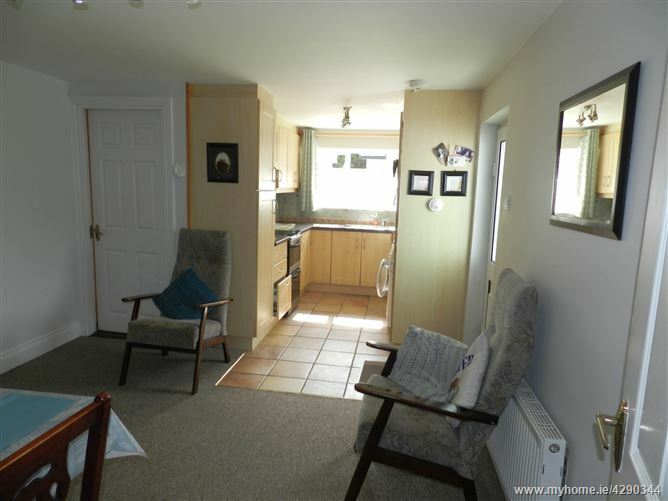 A real stand out feature of this home is the large sunny and beautifully presented south facing rear garden. Stepping outside you are immediately met with an oasis of calm. 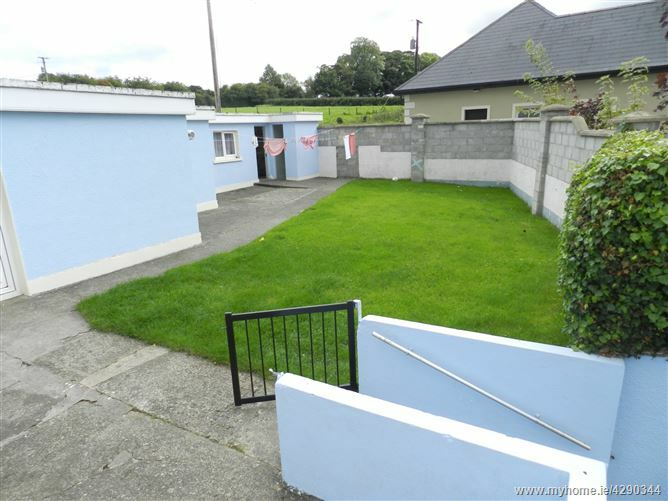 Laid out mostly in lawn this wonderful home offers endless opportunities for outdoor play and sunny barbecues. 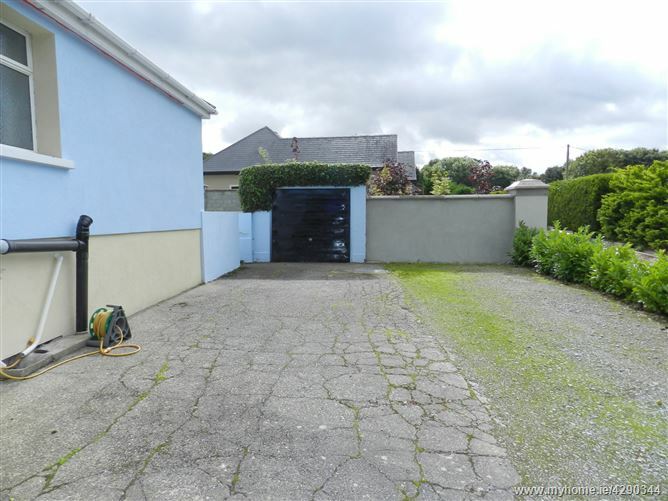 Offering a side entrance to the rear garden and private parking to the front, this home really has it all. Outside garage with up and over garage door. Outside toilet, WC + WHB. Aluminium double glazed windows and doors. 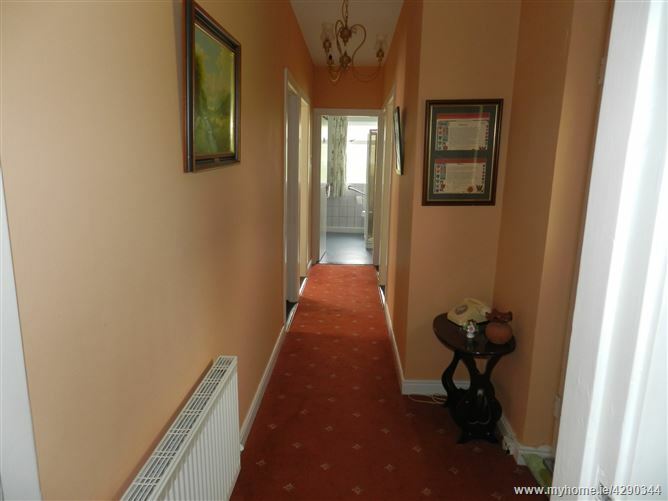 Entrance Hall - Carpet flooring, light fittings. 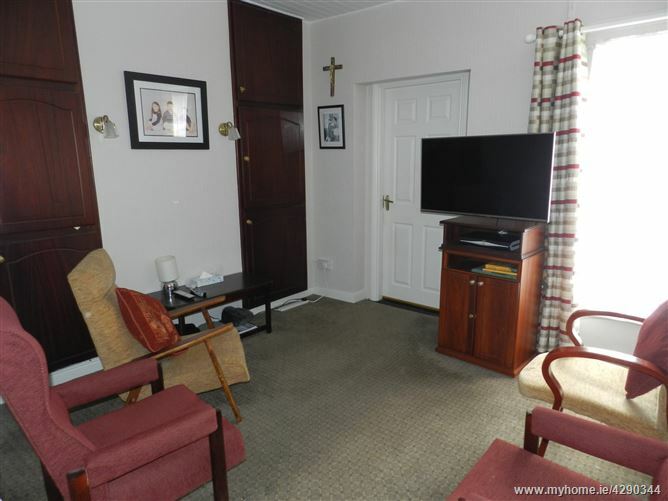 Lounge - Spacious room with carpet flooring, built in units, open fire with electric insert and marble surround, cornicing, curtains, light fittings. 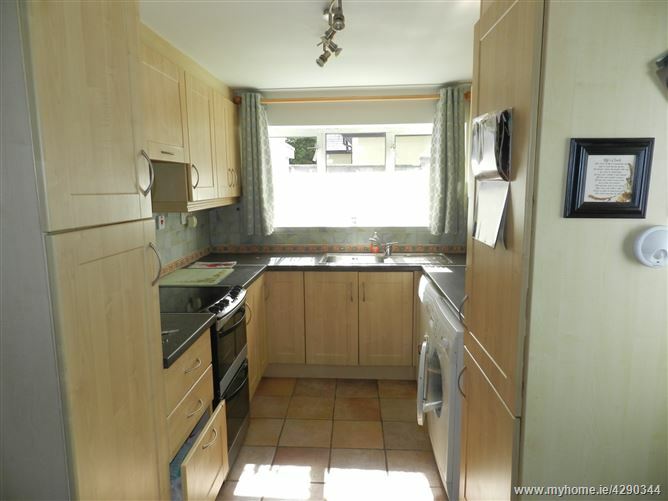 Kitchen / Dining room - tiled kitchen area, ash shaker style kitchen, fridge, freezer, cooker, electric hob, extractor, carpet floor to dining area, door to south facing back garden. Door from kitchen to additional bedrooms, WC & wet room. 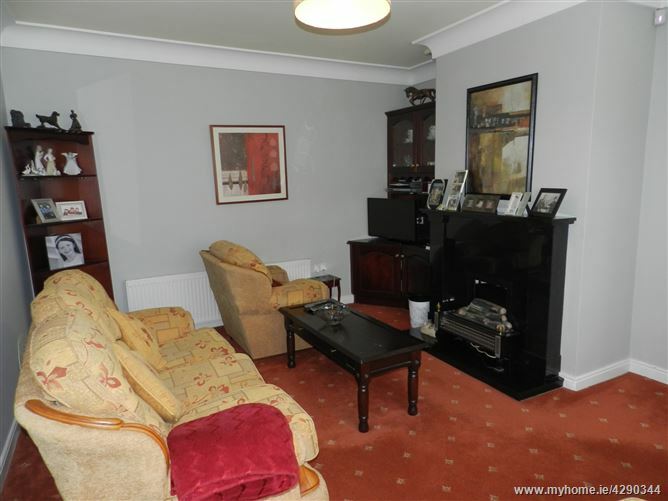 TV Room - carpet flooring, built in units, curtains, light fittings. 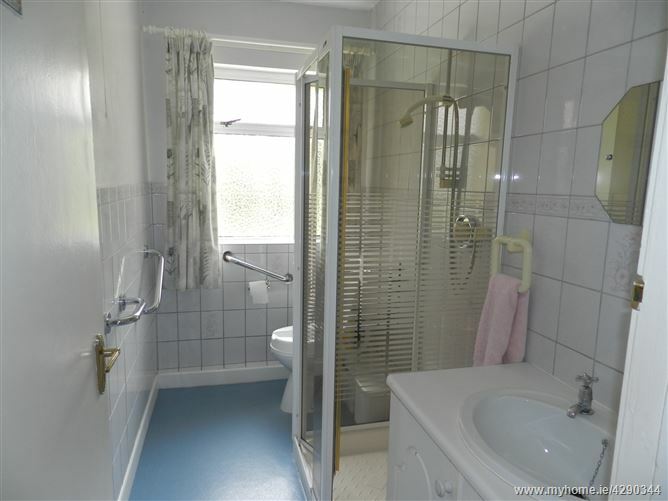 WC - Tiled floors through to ceiling, WHB, WC, walk in wet room with electric shower. 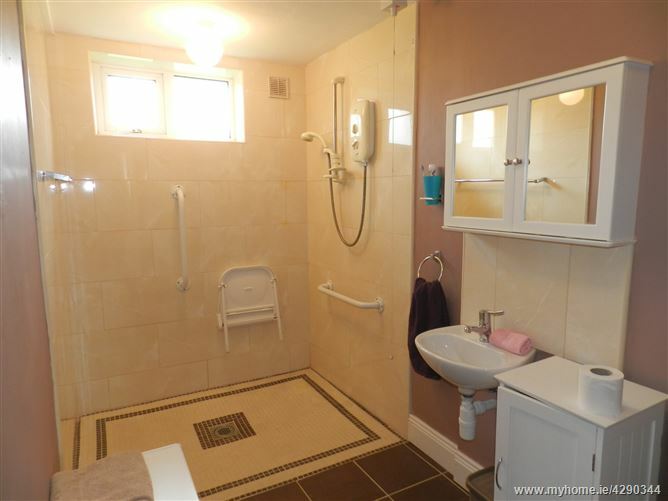 Main bathroom - Lino flooring, tiled walls around wet areas, WHB, WC, vanity unit, shower over bath. 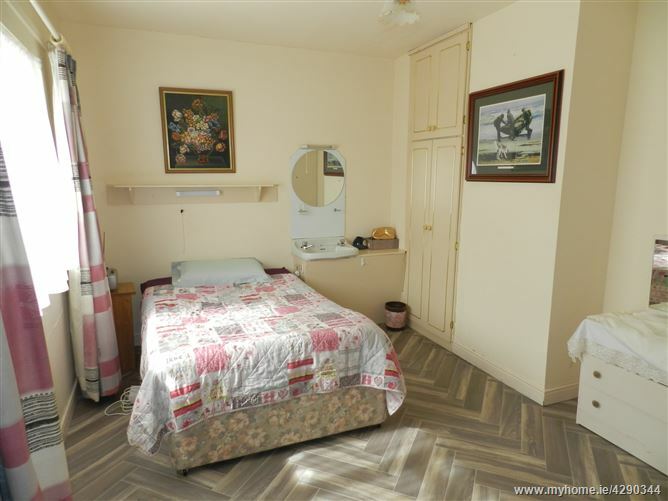 Bedroom one (double) - Lino flooring, built in wardrobes, light fittings. Vanity unit with hot & cold water. 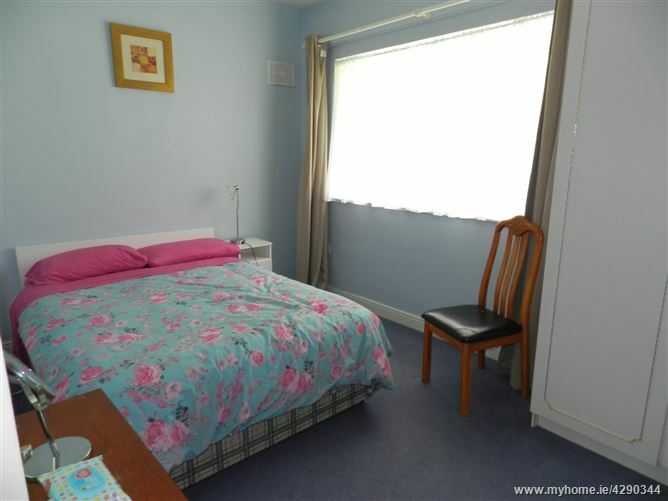 Bedroom two ( double) - Carpet flooring, free standing wardrobes, curtains, light fittings. Vanity unit with hot/cold water. 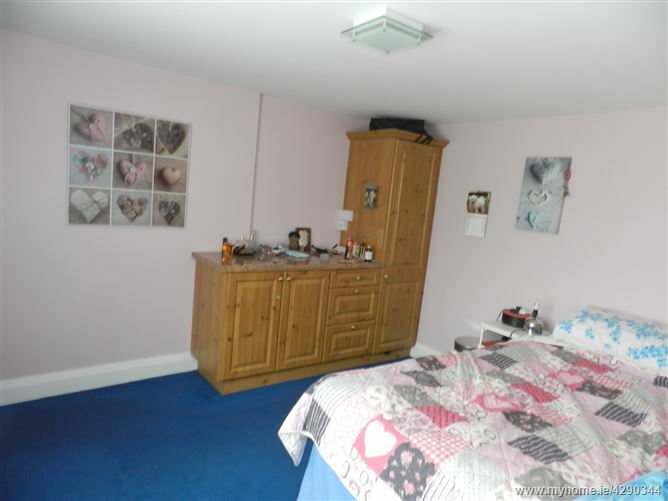 Bedroom three (single) - Carpet flooring, free standing wardrobes, curtains, light fittings. Bedroom four (double) - Carpet flooring, built in wardrobes. 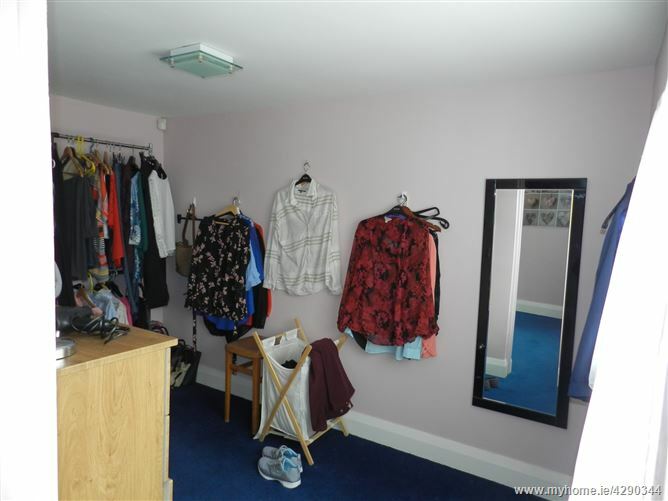 Bedroom five (Double) - Carpet flooring, built in wardrobes, walk in wardrobe/dressing room, curtains, light fittings. 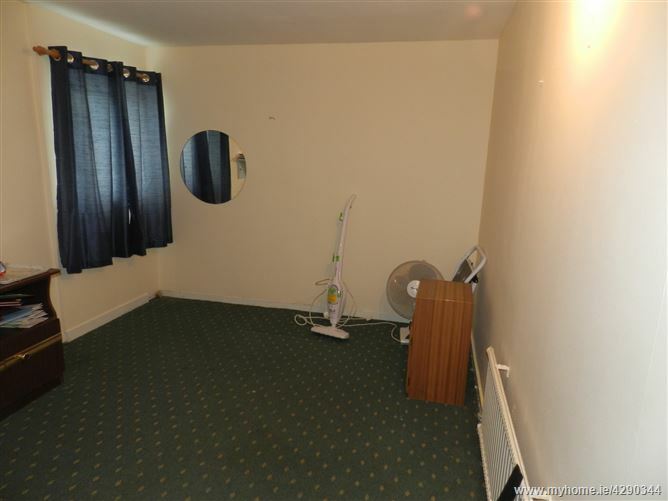 Bedroom six (single) - Carpet flooring, built in wardrobes, curtains. Head south on East Ave/N71 toward Scotts St Turn left onto The Haha/N71. 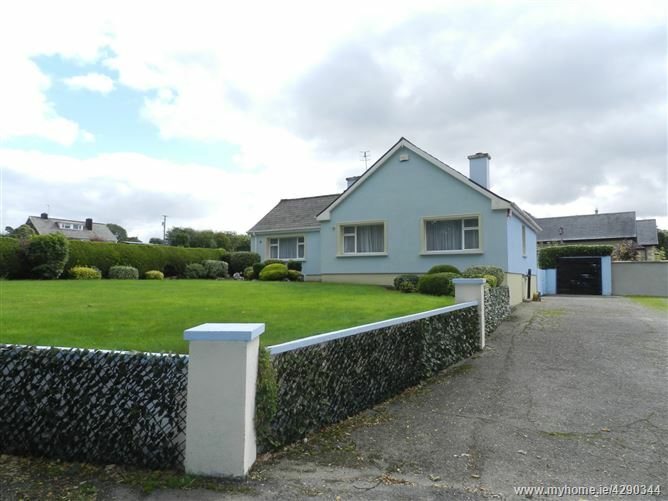 At the roundabout, take the 2nd exit onto Muckross Rd/Ring of Kerry/N71. Turn left onto Loretto Rd. The property is on your right.